Many states have“no-fault” auto insurance laws. In a no-fault state, the first line of compensation for both parties in a car accident is their own insurance policy, regardless of which driver’s negligence caused the accident. Less waiting for medical payments. When injured drivers were forced to sue other drivers who denied causing the accident, they were also forced to wait months or even years for the money they needed to pay medical bills. Personal injury protection (PIP) and other forms of coverage make it easier to get the money you need in a no-fault system. Better coverage for passengers, pedestrians, and bicyclists. PIP coverage also makes it easier for an injured passenger, pedestrian, or bicyclist to receive prompt medical treatment. 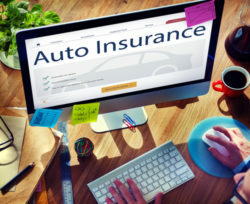 Even if the person doesn’t have their own auto insurance, they may be covered under a policy belonging to the same household. Reducing delays in medical treatment helps prevent injuries and other problems from becoming worse, and can even save lives. Limiting who can sue. By limiting who can sue and when insurance companies can save money. However, they may be saving it at your expense, especially if you have an otherwise worthy case that is barred from court by the state’s no-fault laws. Raising your premiums. Even if you did not cause the accident, filing a claim with your insurance company may risk raising your premiums – yet failing to file a claim may prevent you from recovering any help with medical expenses, car repairs, or other expenses. If you’ve been injured in an auto accident, you’ll almost certainly be dealing with insurance companies as you pursue the compensation you need. Your lawyer can help in these negotiations, so you can focus on healing. Contact The Law Offices of Richard A. Stoloff today by calling our Linwood, New Jersey office at 609.601.2233 or by filling out our convenient online contact form.